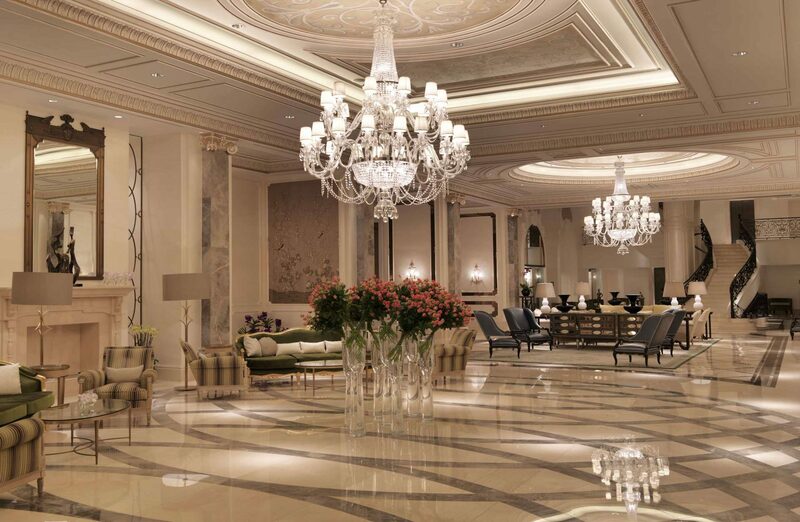 ​Working in partnership with international hospitality designers Richmond International to produce lighting for the Beaux-Arts style Four Seasons hotel in Baku, Azerbaijan, we demonstrated how our expertise complements interior designers’ skills. Richmond approached us with their design intentions for the hotel and worked with our design and production teams to turn their concepts into reality. The results include a truly original chandelier for the hotel’s private dining room that is made from a single piece of brass some 40m long. A 1.5m high cage frame was produced at our London factory and the brass strip rolled and heated to make it sufficiently malleable to wind around the frame to make this amazing spiral fitting. 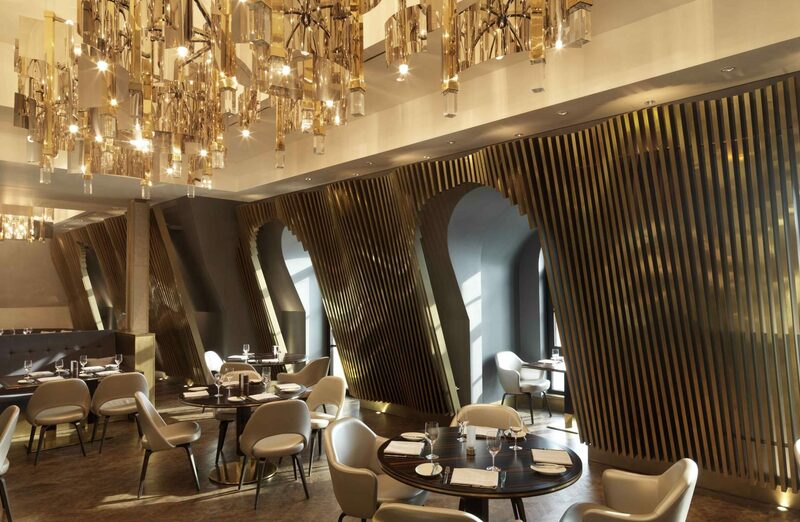 Three stunning polished brass chandeliers were made for the hotel’s rooftop restaurant Kaspia. Complementing the restaurants undulating views of the Caspian sea, the fittings include sail-like chrome plated panels and solid acrylic cubes that reflect the light in a similar way to water. We also produced floor standards for the lobby providing subtle complements to the neutral shades of the hotel’s entrance.